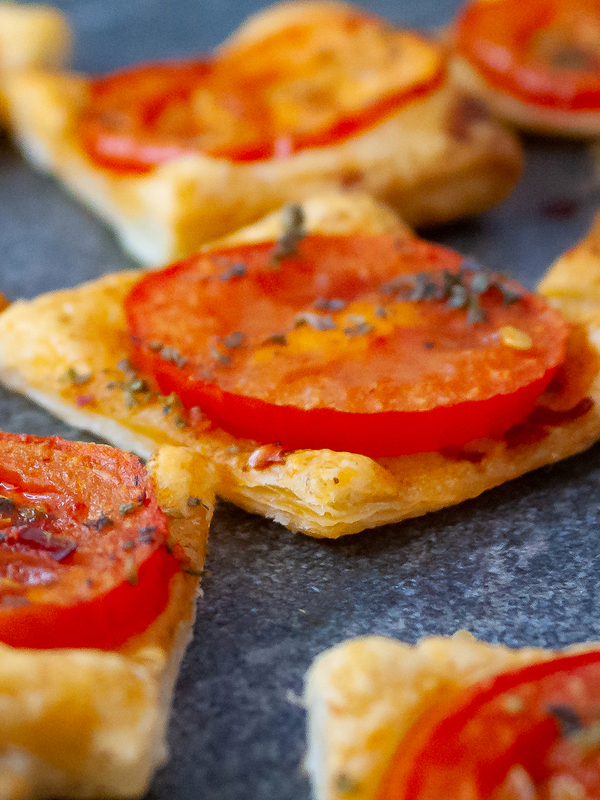 This recipe using puff pastry sheets is a great idea to prepare a party snacks and appetizers. 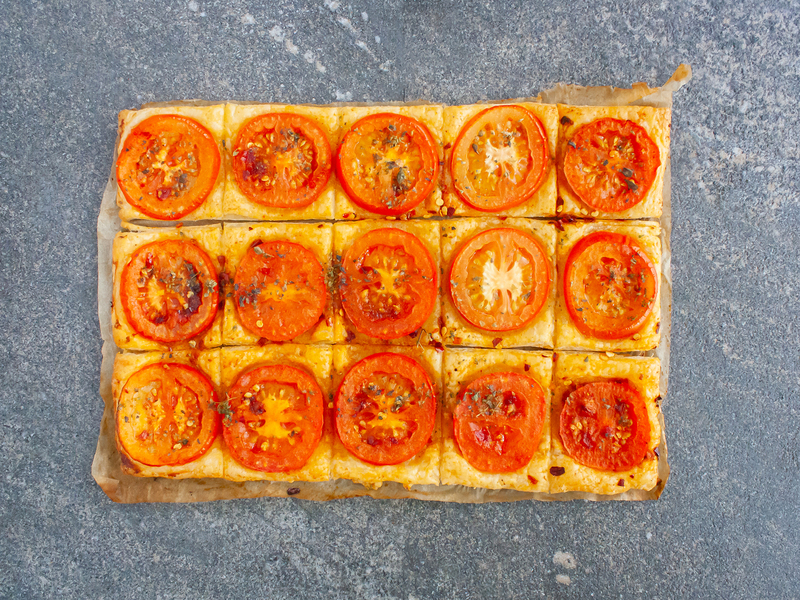 With only a few herbs and a couple of tomatoes, you can prepare a delicious puff pastry recipe. 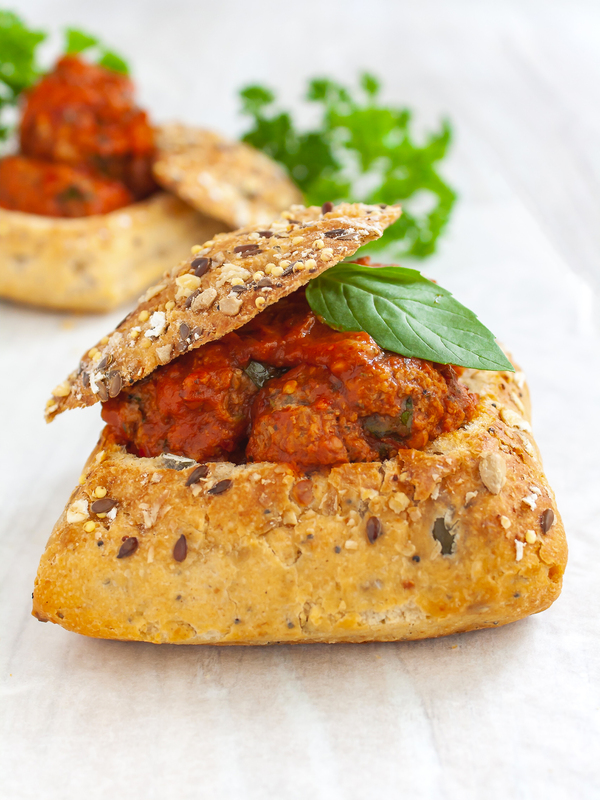 That tomato wheel will sit perfectly on its crispy pastry bed just like a big smile on your face. So get some pastry sheets and be ready to roll ! To prepare this puff pastry finger food recipe start by preheating the oven to 200°C. Line a baking tray with parchment paper and unroll the puff pastry over it. Cut it into squares, each measuring 5 cm, using a wheel cutter. 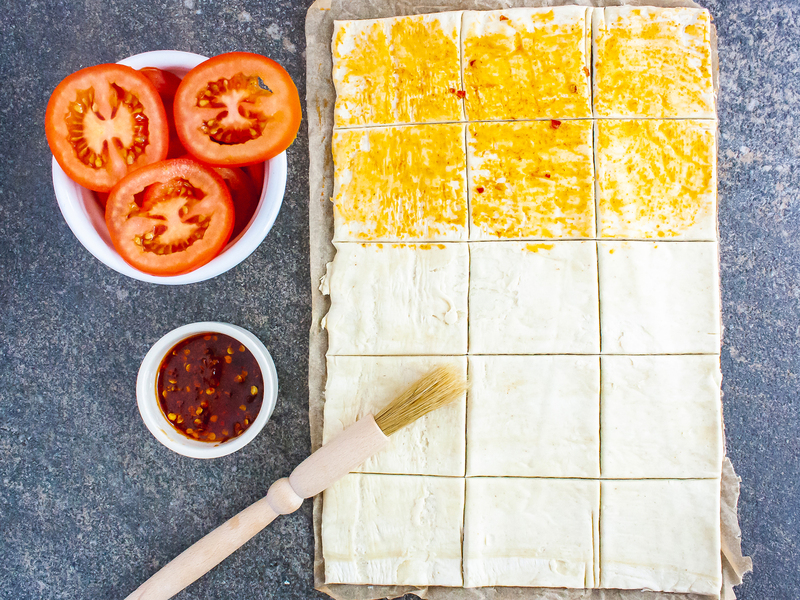 Cut the tomatoes into thin slices and set aside. In a small bowl mix together the chilies, paprika, salt, and oil. 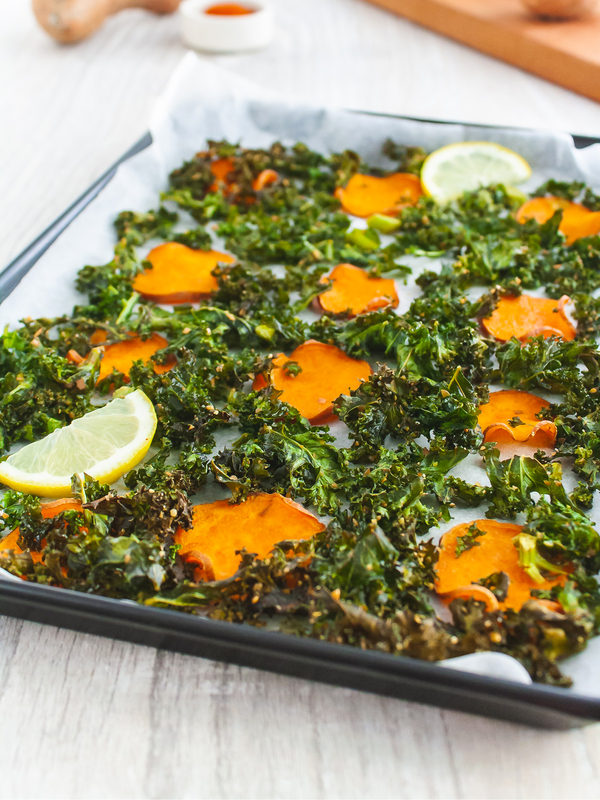 Brush the entire surface of the pastry sheet with the oil and spices mix. 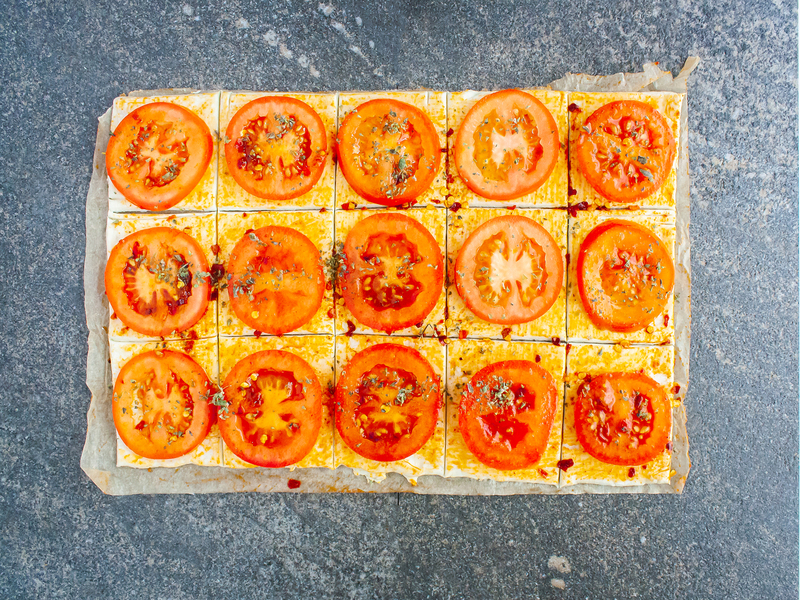 Place a tomato slice on each of the pastry squares and sprinkle with basil. Repeat for every square of pastry. Place the baking tray in the oven and cook for 10-15 or until the pastry has turned lightly golden. Remove and place each square on a plate or wire rack to allow cooling down a bit before serving. 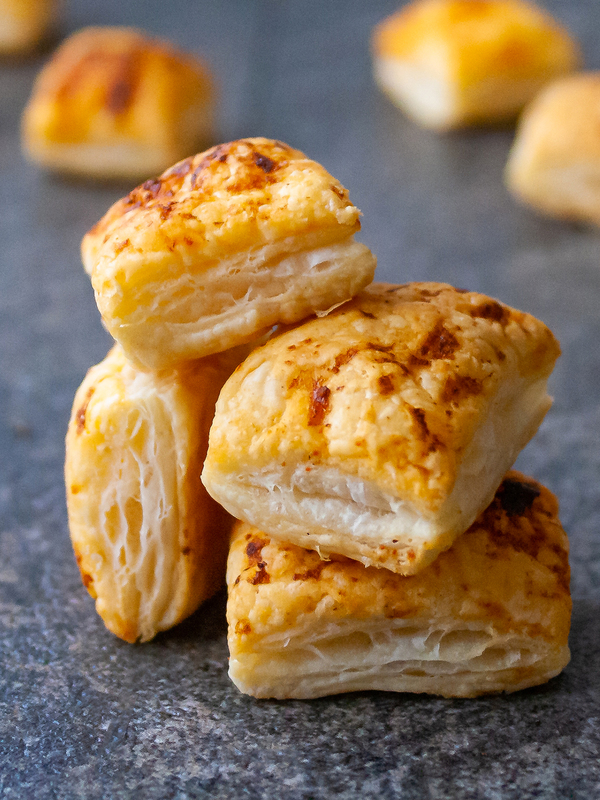 The puff pastry squares can be enjoyed hot or cold for you next dinner or party.